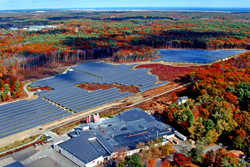 Talk to RBI solar mounting experts on how to reduce the total project cost by using turnkey and pre-assembly options. Talk to RBI solar mounting experts on how to reduce the total project cost by using turnkey and pre-assembly options. With more than 80 years’ experience in custom design and build industry, RBI designer and engineers can help your determine the most efficient and economical solution for your solar mounting needs.